Offering a “full day of family fun for all,” the Pembroke Hamilton Club [PHC] will host its annual Community Fun Day on Good Friday, March 25. The day will begin at 9.00am with a 1.25 mile Run/Walk from Lindo’s Warwick to PHC Field, with prizes to be awarded to the top three finishers in each respective category. 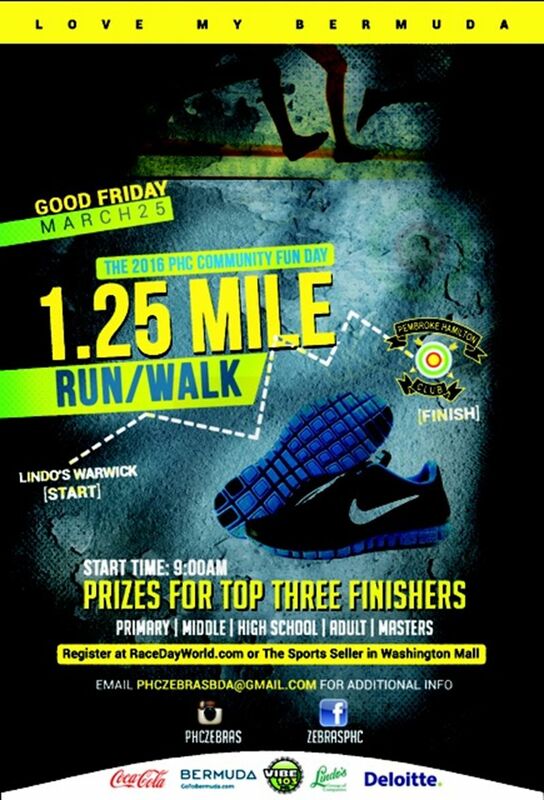 Register for the race at the Sports Seller in Washington Mall or online. Registration is $10 for Juniors [under 18] and $15 for Adults. Bermuda Timing Systems will provide chip timing and race results immediately following the race. From 10.00am at PHC Field, there will be several fun castles, a zip line for all ages, a mechanical bull, kite flying, five-a-side football, and more, with DJ Chubb providing musical entertainment. There will be several live performances from the Somerset Brigade Band, Mount Zion Children’s Dance Ministry, and Bermuda Institute Steel Pan Drummers, while the Southampton Inspirational Choir will minister through song and professional boxer, Nikki Bascome will exhibit his boxing routine for those in attendance; local reggae artist Live Wire will also do a special performance. Food will be provided by Sensational Delights, Candalicious, Sweet Stixx, and various other local vendors. 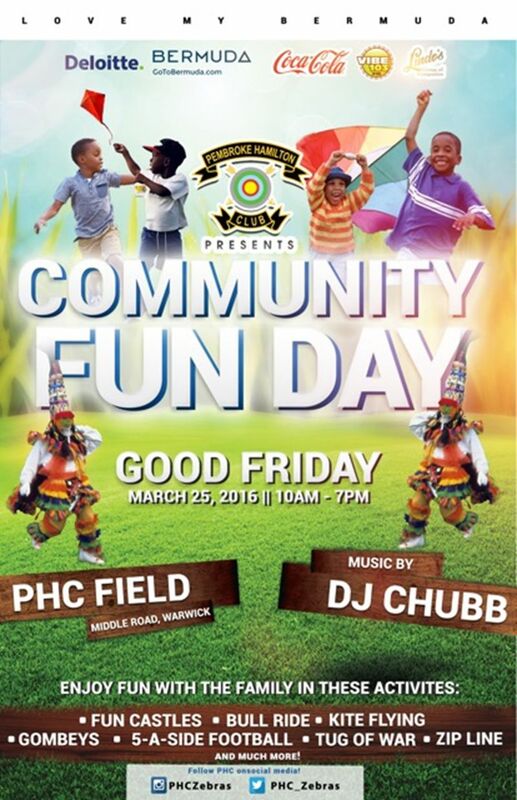 Sponsors for the PHC Community Fun Day include Lindo’s, MS Amlin, Deloitte, Coca-Cola, and Vibe 103FM. For additional information, email PHCZebrasBDA@gmail.com or visit the Facebook page. Really good event last year. PHC has made some awesome strides. I definitely plan on attending!